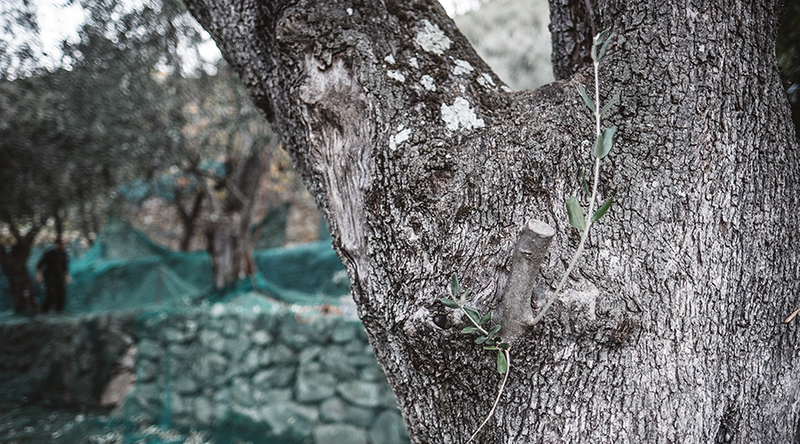 Over the years we have purchased olive groves, to expand the family property, up to the current 42 hectares with about 11,000 olive trees of Taggiasca cultivar. The particular advantageous exposure of the terrain justifies its initial plantation, because the slope of the land helps the excess rainwater to flow without stagnating. 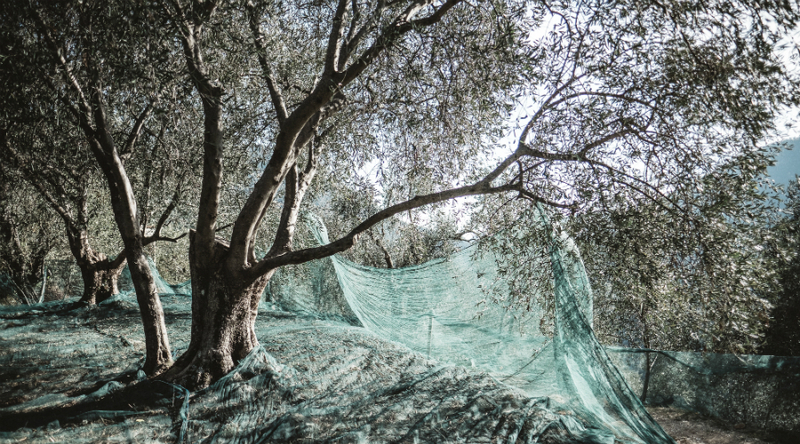 The olive groves are located between 60 and 500 meters above sea level. Surrounded by forests of Mediterranean scrub and chestnut trees. 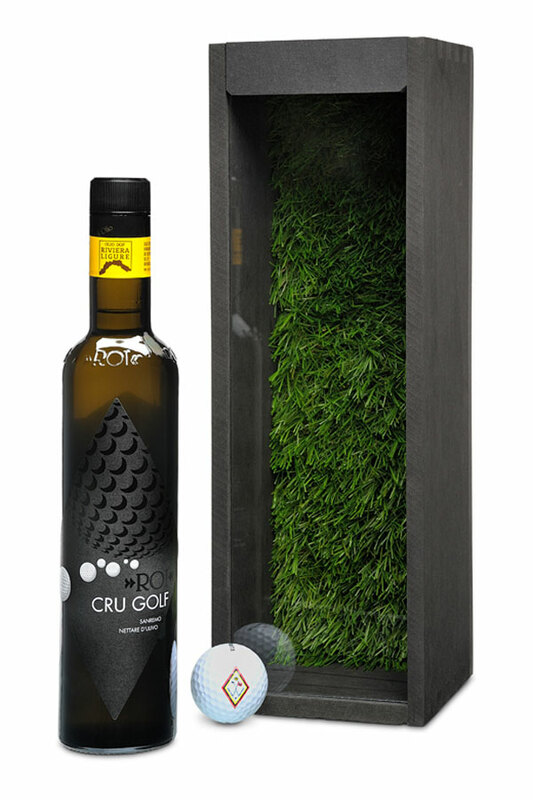 The sea and the herbs that grow naturally greatly influence the quality and taste of the olives. During the Middle Ages, the Benedictine monks improved the plant of the olive tree, creating the Taggiasca, and teached the “terracing” technique with drywalls (maixéi), to create the strips and take the arable terrain from a territory that only the Ligurian farmer could make fertile, with far-sightedness and strong will. 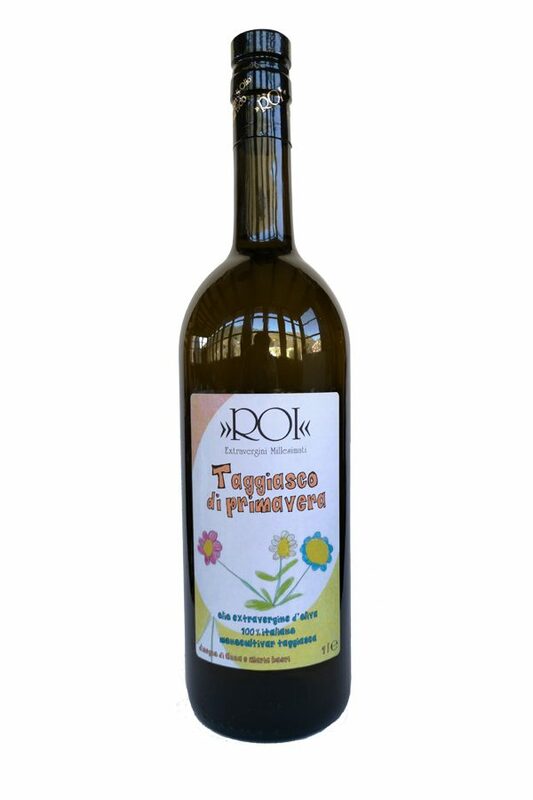 Most of the qualitative merits of the PDO Riviera Ligure extra virgin olive oil are to be attributed to the variety of plants (Taggiasca, Lavagnina, Pignola and the other local populations attributable to the Frantoio variety) that during centuries of adaptation to the territory and to the Ligurian climate, they provide a low-acidity product with soft fruitiness and a sweet sensation that enhances the characteristics of the food without intervening too decisively. 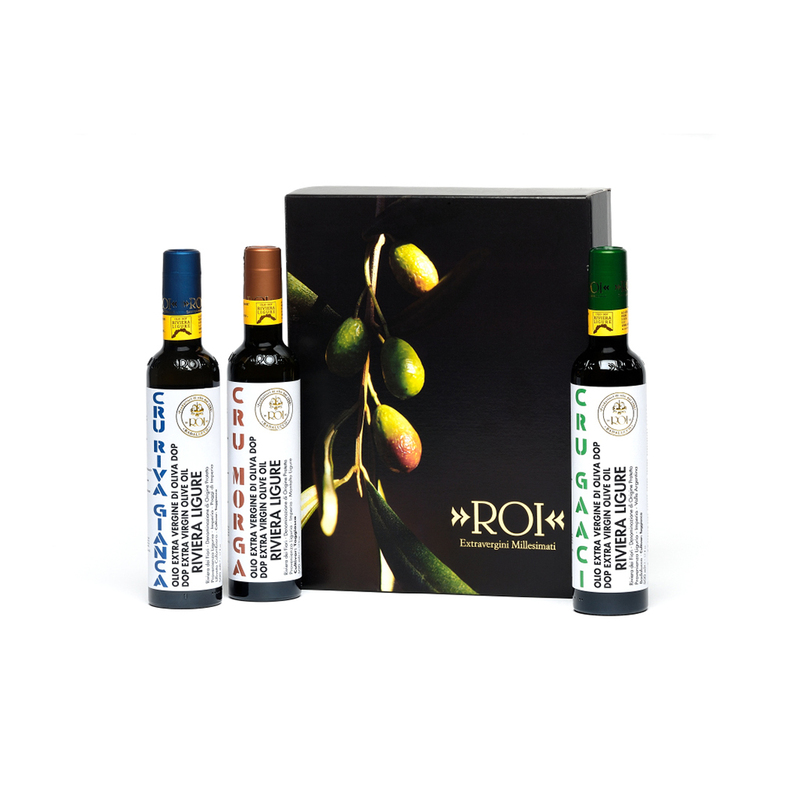 In addition to the BIO product certification and the PDO designation, Olio Roi has earned the title of Friend of the Earth. FAO gives this definition to the concept of environmental sustainability in agriculture and the idea in which Olio Roi believes. Since the beginning of its activity, the company has always tried to improve energy efficiency, optimize resources, and move towards a growing social responsibility by safeguarding and protecting the entire ecosystem. 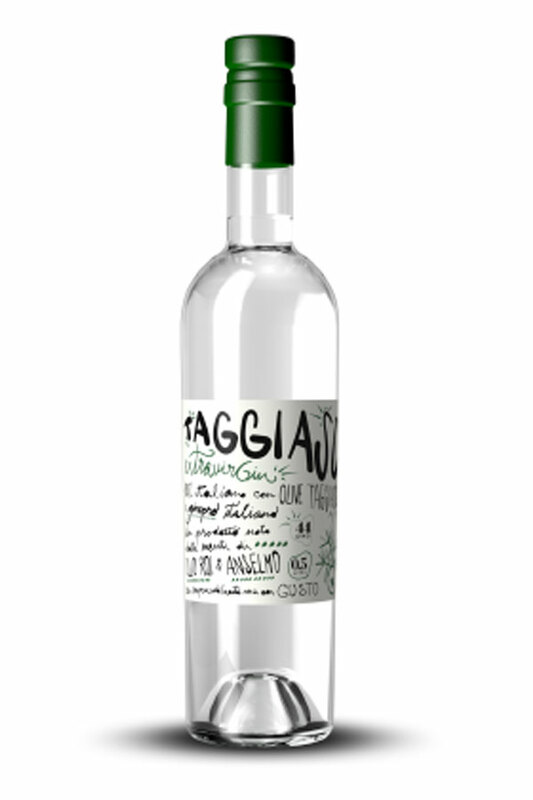 Our production of Extra Virgin Olive Oil derives exclusively from the first cold pressing of the Taggiasca olives, made with millstones.